Abuja (Agenzia Fides) - Yet another kidnapping of a Catholic priest in Nigeria. According to news sent to Agenzia Fides Fr. John Bako Shekwolo was kidnapped on March 25 in his home in the village of Ankuwai, in the state of Kaduna, in central - northern Nigeria. The kidnapping was confirmed by the Chancellor, Archdiocese of Kaduna, Reverend Father Daniel J. Kyomm: "We regret to announce that one of our priests, Rev. Fr. John Bako Shekwolo has been kidnapped by unknown persons. As we ask for the prayers of the faithful of our Archdiocese and beyond for the quick release of Fr. 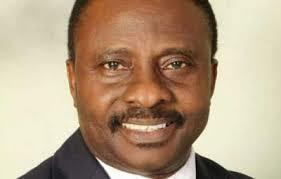 Shekwolo, we appeal to the consciences of those who abducted him to kindly release him unharmed". The local police are doing their best to release Fr. Shekwolo, who is the parish priest of the church of St. Teresa of Ankuwa.